Monday, Apr. 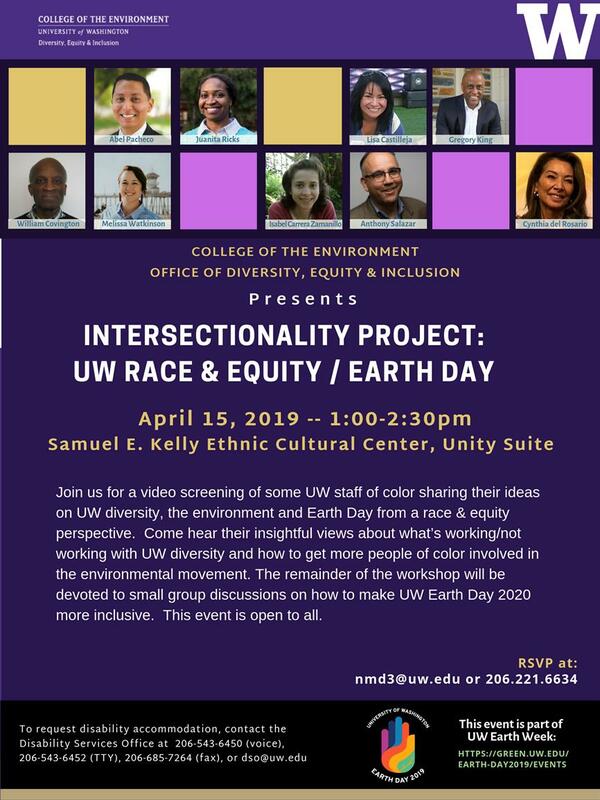 15, 2019, 1 – 2:30 p.m.
Join us for a video screening of some UW staff of color sharing their ideas on UW diversity, the environment and Earth Day from race & equity perspective. Come here their insightful views about what’s working/not working with UW diversity and how to get more people of color involved in the environmental movement. The remainder of the workshop will be devoted to small group discussions on how to make UW Earth 2020 more inclusive.